Its main threats are being accidentally caught in fishing gear (bycatch) (50% of their mortality) and predation by species introduced in the islands and islets such as cats and rats. In addition, marine pollution, climate change, the destruction of their habitat by the urbanization of the coast, and the light pollution that disorients the fledgings. This past week I have started to collaborate with the scientists of IRBI, SEO/Birdlife and AZTI that study this species, to capture in pictures the works that are carried out to know and protect it better, and to spread their worrying situation. 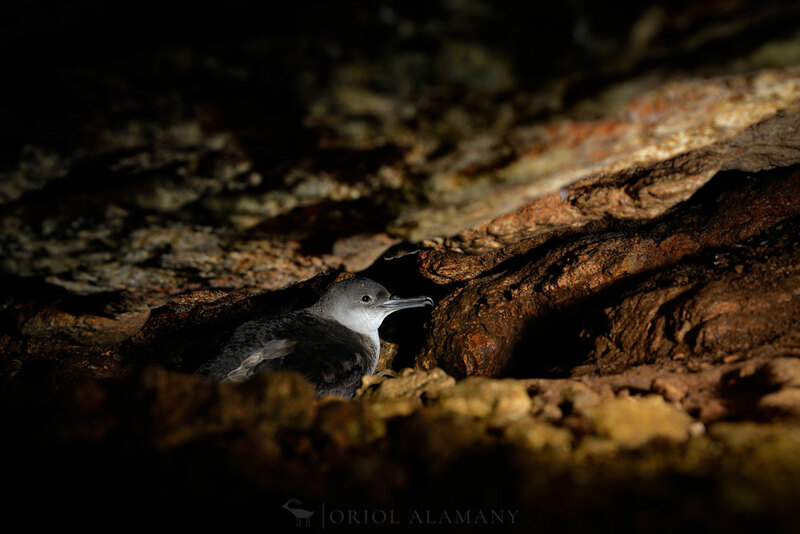 The bird on the photo is breeding in a narrow cave on the coast of a mediterranean islet.